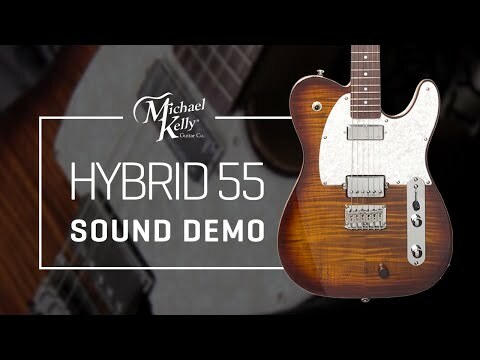 Hybrid 55 electric guitar with acoustic tones | Michael Kelly Guitar Co.
Unlock the full potential of your MK Hybrid with a Y-cable. This allows you to send the signal from the magnetic pickups to one amp or channel and the signal from the acoustic tone to another. This lets you perfect your sound. NOTE: Use of Y-cable is optional, use regular cable to a single amp or channel, no problem! Flick a switch to go from electric guitar to acoustic guitar and blend the two for new creative sonic options with another flick. 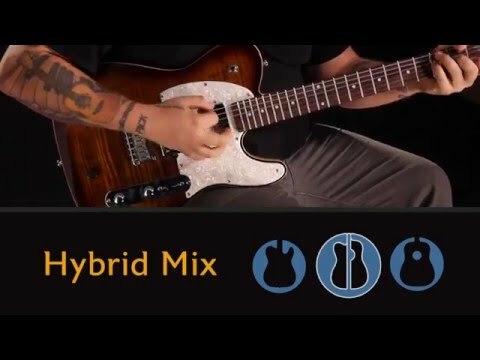 The Hybrid 55 gives you all of this in one instrument! This Hybrid gives you a potent electric guitar performance instrument. It has Rockfield pickups for great electric guitar sounds and our Great 8 mod to allow you to split each humbucker for a single-coil tone. The hardtail bridge is a Fishman® Powerbridge that adds a big acoustic tone to your options. This guitar does it all and does it really well. 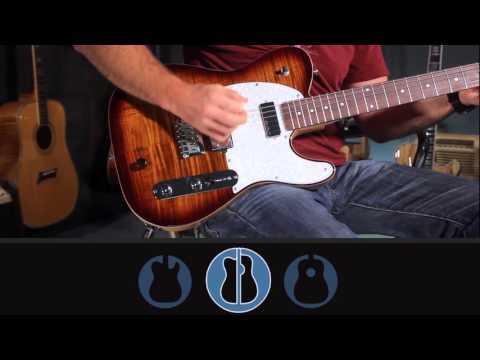 Lighten your load (one guitar instead of two) and increase your sonic options. Fretboard Radius: Compound 10.5" to 16"
NOTE: Please make sure to loosen your strings prior to adjusting intonation screws on your bridge. Tightening intonation screws under string tension can cause damage to your piezo saddles which is not covered under Warranty. Provide your name and email below, and you will be the first to know when we have more inventory. based on a purchase price of at 10% APR for 12 months. Easy approval process - just add items to your cart and select the Affirm payment option at checkout. Pre-order to reserve your Michael Kelly! Pre-order this guitar and we will reserve it just for you - you pay nothing until we notify you that the guitar is ready to ship. Comfort without sacrifice, that is how you might describe our Modern-C shape. The size is what many would call medium to medium-thin and the shape is a really smooth and comfortable round shape. The thin profile makes it faster than the typical vintage neck, while the carefully contoured C-shape makes it comfortable for extended playing. Learn about new products, get gear, tips, and special deals. ©2019 Michael Kelly Guitar Co.
Sign up for exclusive Michael Kelly savings & more! Be the first to learn about new products, get gear tips and receive special deals that are available exclusively to the Michael Kelly Alerts recipients.